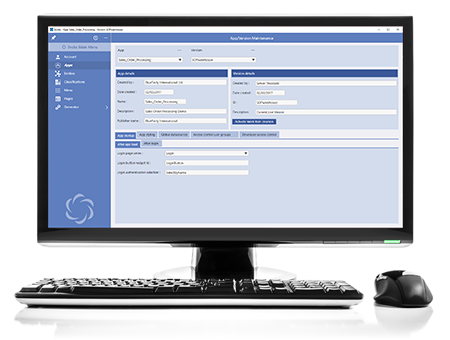 The software application that enables the design and generation of an App that can be used across all major mobile and desktop platforms. The App that you wish to design and create with Evoke. Each App designed and developed in Evoke can have multiple versions, each autonomous. These can be duplicated from an existing App version or created as new apps. Tables/File Structures that are used in Evoke for the user interface. These may relate directly to database files/tables or be UI only data structures. Fields/Properties within an Entity. Each property many have a datatype of AlphaNumeric, Boolean, Currency, Date, DateTime, Decimal, ImpagePath, Integer, Time, Classification, Entity. Some Properties may be UI usage only or calculated Properies. The navigation menu structure that is defined for the app that is to be produced. Includes the Page Series that each menu item is linked to. The individual screens (pages) in the resulting app. Pages are grouped in a Page Series. DataSources are the Entity types (Files/Tables/data Structures) that are associated by you with each Page Series for use in the Pages within. Refined DataSources are a special type of DataSource that allows for advanced seraching, sorting and filtering against any DataSource from within Evoke or by the App User. Refined DataSources are linked to a DataSource within each Page Series. Collection within Evoke defines if a DataSource is a collecton or series of records/information or just a single instance of a data structure/Entity. 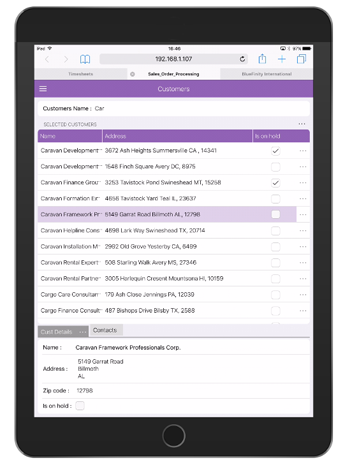 Templates in Evoke are the way data/information is structured in the User Interface (UI). A Template is bound with a base Entity type and the properatirs of this entity may be selected to be part of the UI. There are also multiple "unbound data" properties that can be attached for elements such as buttons or statis text. Each Property of a template can have its own Widget and specific instrcutions. Examples of Template use can be found in the demo Apps. Templates also link to the Click Actions that can add powerful additional functionality to each App. Click Actions are powerful functional code inserts that can be bound to Headers, Template Properties and various other App elements to include a series of actions, as required within the App. Please see the Click Actions for a summary of the current Click Actions that are available. The Adaptations section in Evoke is the area that different display options/actions can be set to various information, Grid, Segments etc depending upon the screen size/device that the app is being used on. Please refer to the Adaptations definitions page for a list of all the Adaptations available. the Widget ID can be set for every Property in a Template, this identifier is then included in the generated Visual Studio code as a marker (hanger) to link custom code onto. A Grid is the multi entity display area in the App UI that holds and displays a list of values e.g. for a list of products this could be the product name, product code, a description and the price. This information is shown on separate lines of the grid (table). Before pages and Templates there is sometimes a link (multiple pages) symbol. This means the page or template is linked elsewhere in the App. I amenu item on the ellipsis helps identify where the page or template is linked. A link means the page or template is used by another page series and is a direct copy of this page or template - any change in the original or linked template/page will change the template page in all linked instances of it. The tooltip, associated with each Property of a Template, is used in conjunction with a cursor, usually a pointer. The user hovers the pointer over an item in the App, without clicking it, and, if specified, tooltip appears as a small "hover box" with information about the item being hovered over. Within Evoke, Web is the area for generating web apps. 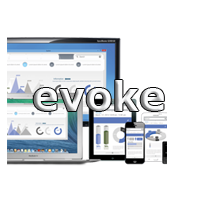 The generated Visual Studio/Xamarin solution is then used as a web app or combined with the Evoke AppRunner to create an evokehybrid app. Within Evoke, Native is the area for generating full native apps. The generated Visual Studio/Xamarin solution includes all the projects neccessary to compile/build complete native apps for all platforms. Repositories are the backend databases that are to be mapped onto the Entities. They are defined by their ID, technology (e.g. 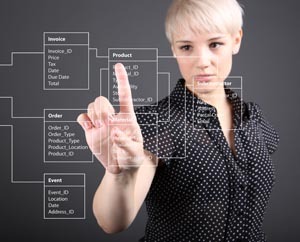 SQL or MultiValue), Platform (specific flavour of SQL/MultiValue), the connection method and any specific connection string. The Create Read Update Delete layer created by Evoke when an App is Generated. To generate a new standard CRUD entry for an Entity (such as a Selection) there is a Generate Entity CRUD tick box in the Entoty Mappings section of the Generator. Two CRUD items are created per Entity/database file; a standard CRUD item with Create, Read, Update, delete functions and Selections generated from the information included in the App design, and a custom CRUD item that is not overwritten when new CRUD is generated. The custom CRUD allows a DBA to create and maintain advanced specific CRUD entries/selections. The licensing terms of Evoke require that App Designers create a table/file within your database called "EVLU". Additional information regarding the EVLU file is available within the Evoke Product help site accessed from the Evoke product.